Picking out the perfect Fishers, IN home can certainly be a challenging task. Finding that dream home is only the first step though. You still need to ensure you are an attractive loan candidate and go through the whole mortgage approval process in order to purchase your home. Along the way in this tricky mortgage process many home-buyers make mistakes that cost them dearly. We’ve laid out a list of some of the biggest missteps in the mortgage process so you can hopefully avoid some of these pitfalls. Picking any mortgage. The wrong mortgage can cost you a great deal. Make sure to investigate all of your options and do the math. Loan shop with several different lenders and use mortgage calculators to fine-tune your estimates. Having too much debt. Even if you pay all your bills on time lenders are focused on how much credit you have available to you – your debt-to-income ratio. Postpone any big-ticket purchases until you have settled into your new home and have lived with the new finances for a while. Forgetting about your credit. 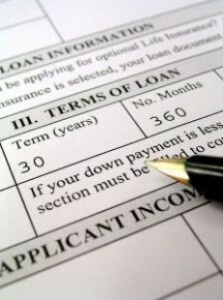 Before you start the Fishers, IN home-buying process you should know your credit score and your credit report. Check the report for any mistakes and fix them as needed. Equifax, TransUnion, and Experian allow you to check your credit score for free, once a year. If you find you have bad credit, repair it before you apply for a mortgage. Making big life changes. Lenders like stability. It is a good idea to have been at your job for a year or two before applying for a mortgage and even more importantly to keep your job throughout the mortgage process. If you are looking to switch jobs wait until the home sale is complete. When you are ready, we would love to help you find your home in Fishers, IN. Please contact a Fishers, IN real estate agent when you are ready to start the process. We hope to speak with you soon and to earn your business!